Please Download Your FREE eBook “Practical English Grammar” HERE! Thanks for requesting the FREE eBook Practical English Grammar! I hope you’ll devour this eBook in minutes. And I also hope you’ll come back to my blog looking for more answers. You’re welcome! If you’ve any questions – please feel free to contact me anytime at support@englishharmony.com ! No problem my friend, I hope you’ll enjoy reading it! If you’ve any questions – feel free to publish them on the blog as comments on pretty much any post and I’ll get back to you as soon as possible! thanks for accept my request and giving me Practical English Grammar e-book. No problem, I’m glad you find this eBook helpful and if you’ve any questions – feel free to get in touch with me and ask anything English fluency improvement related! many many thanks for presenting me Practical English Grammar e-book. It’s a very great experience for me.Thanks again.Wish you very best of luck. Thank you very much …………………..
thank u very much …..bro.if i speek fluently…..i think u r the best teacher in this world. this is very very fantastic. n very easy to download. No problem, I hope you’ll enjoy reading it! Thank you very much for giving me “Practical English Grammar” e-book. I promise I will read it. No problem, you can rest assured I have more freebies planned for the future! I’m glad you find the eBook useful, and if you’ve any questions regarding the English Harmony System 2.0 – just use the Contact page to submit your inquiries! Great to hear that, so stay tuned in for more useful stuff! 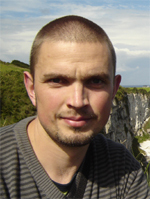 Thank you Robby for sending me ebook free , it will be useful to me, I have got lots of benefit from your website as a second language learner.You are really generous and kind person and best tutor in the world. shall try to buy your 2.0 version earliest as possible. 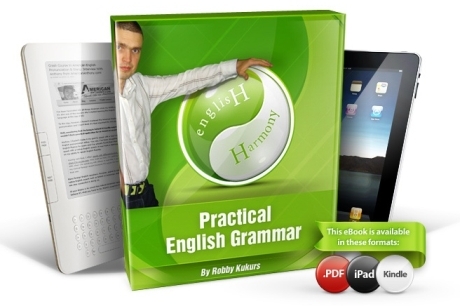 Thanks Robby, for your eBook on practical English grammar your suggestions over learning English are really great u rÂ the best tutor. I shall try to buy your 2.0 version earliest as possible.